Tips for a Closet Cleanout! Faux Fur Coat at NYFW! Hi! I’m Dawn Lucy, a 52 year old style blogger and high school English teacher, wife & pet mom, in San Jose, California. This is a site for us women over 40 who are still vital, relevant, and creative. These are our years to shine, Ladies! Let's show the world you're never too old to have fun and be fierce! Fun & Fashion in your Inbox! let’s stay connected for more fashion fun! Jambu's Lilly - All Day Comfort! Jambu's Vegan Sneaker - Meet Mango! All About Comfort with Soma! On My Way to NYFW! 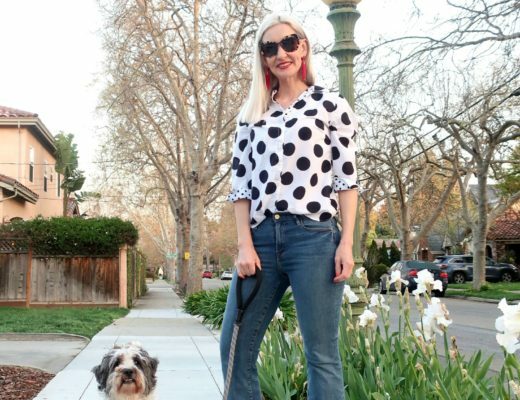 2019 Trends ... and How to Wear Them Over 40! 2018 ... What a Year! Bohemian Rhapsody & All the BEST Sales! Gifts for Her - Style-Blogger-Approved! Karina Dresses for the Holidays! All the Best Cyber Week Sales! Soma Embraceable Pajamas - Candy Cane Stripes! 5 Fall Trends You Can Definitely Rock Over 40! Jambu's Lola - Fab Booties for Fall Fun! NYDJ x Chico's: Flattering Jeans! Celebrating World Teacher Day with dressbarn! Eva Trends Dungarees: Funky & Fun! Fall 2018 Runway Trends to Try Now! Karina's Latest Collection: Western Wandering! Throw a Kimono Over it! Tips for Rocking the Oversized Look with Eva Trends! Nordstrom Sale - What I Bought! Soma Enbliss Bras - Blissful! Nordstrom Anniversary Sale Dressing Room Selfies 2018! Tips for Shopping the Nordstrom Anniversary Sale! July Style with J.Jill - Happy 4th! SOMA Cool Nights Mix & Match! Packing for a Summer Adventure! Survey Results and Questions Answered! #HowBoldAreYou - Chico's at Santana Row! Nordstrom Triple Points & Link Up! Jambu Footwear - My Video!!! Hi from NYFW & Link Up! Trends in Sunglasses - Save & Splurge! Karina Dresses Resort '18 & Link Up! Ultra Violet - Pantone's Color of 2018! Bold Stripes & Link Up! Best New Year's Day Sales! Mixing Trends with Classics - A Year of Outfit Building! Velvet Poncho - Chic Holiday Party Alternative! How to Add Holiday Glam to your Outfit! SALES, Mandarin Sneakers, & Link Up! Black Friday & Cyber Week Shopping Tips! J.Jill Wearever Dress & Link Up! Jambu Chai Boots (& Link Up)! Jord's Latest Creation - Cassia - & Giveaway! Jambu's Amal Bootie (& Link Up)! J.Jill Mix & Match for Fall! Armitron - Another Beautiful Watch & Giveaway Winner! Armitron Watch Review & Giveaway! Jambu Canary in Plum Suede - My New FAV Shoes! 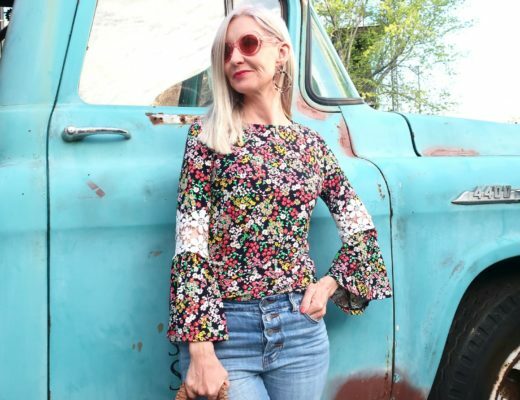 That 70's Vibe - Tropical Bell Sleeve Top + Link Up! Resort Style with Soft Surroundings! Chico's Versatile Separates for a Night Out! Pala Casino, Spa & Resort! Tie-Sleeve Sweatshirt & Link Up! Shein Pinstripe Skirt with Pockets! My Nordstrom Anniversary Sale Finds + Link Up! J.Jill Perfect Little Knit Swing Dress! Nordstrom Anniversary Sale - Dressing Room Selfies Part 1! Polka Dot Off the Shoulder Dress + Link Up! Nordstrom Anniversary Sale - Picks & Tips! J.Jill Printed Rayon Full-Leg Crops & Link Up! Red, White, and Lace Peasant Blouse - July 4th Fun! Rainbow Stripes & Link Up! Pom-poms, Bell Sleeves, OTS Top! Shein Off-the-Shoulder Tassel Maxi Dress! Candy Pink Stripes and Pom Poms (& Link Up)! Chico's GF Jeans + Ruffle Top + Tassel Necklace! Karina's Katharine Dress in C'est Bon! Off-the-Shoulder & Culottes (& Link Up)! Tie-Dye Maxi Dress with Pockets! Fun Floral Crops & Link Up! J.Jill for June: Easy Printed Maxi & Tie-Front Top! Why I Love Being a Middle-Aged Woman! 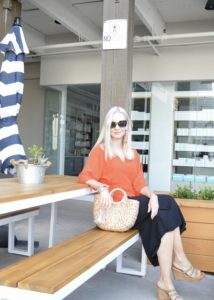 Lynn Ritchie: Crossed Paths Blouse & Wide-Leg Crepe Pants! Winkwood Sunglasses Giveaway & Link Up! Review of Karina Dresses' Nora in Monet, & Link Up! Nordstrom Triple Points Day May 3 - 7! J. Jill Embroidered Mixed Media Shirtdress & Link Up! Embroidered Sweatshirt & Fun Fashion Friday Link Up! Fringe Heaven + Fun Fashion Friday Link Up! Winkwood + Fun Fashion Friday Link Up! Mixing Stripes & Link Up! Donald J Pliner Spring Launch at Santana Row! Cold-Hearted Snake ... Sleeves + Link Up! Soft Surroundings Gauze Peasant Blouse! Double the Leopard, Double the Fun? Mixteca Tunic + Reader Survey + Link Up! Metallic Details and Fun Fashion Friday Link Up! Valentine's Day Gifts for Her & Link Up! Kendra Scott's Spring Launch & Color Bar! Welcome to the Jungle & Link Up! Tropical Punch - Vacation Wardrobe! Pink, Plum, Burgundy & Blush & Link Up! Over the Knee Boots + Link Up! Greenery - The Color of the Year! Dress Away the Holiday Weight! Purse Amie & Link Up! Best of 2016 & My Refined Style Link Up! Happy 2017 & Thoughts on a New Year! Lynn Ritchie Resort '17 & Fun Fashion Friday Link Up! The Best After-Christmas Sales for Fashionistas! Purple Poppy Party Skirt & Link Up Fun! The Sweater of the Season & Fun Fashion Friday Link Up Party! What the Heck's a Ruana? Karina's Mia in Teal Rose + Giveaway + Link Up! Happy December + Fun Fashion Friday Link Up! 75+ Gifts for Her - What She Really Wants! Sales & Fun Fashion Friday Link Up! Gifts for Him - 40 Ideas! 50 Girlfriend Gifts Under $100! Dressing Cozy & Fun Fashion Friday Link Up! Versatile Corduroy Dress from Metrostyle! What to Wear to a Holiday Party Over 40 with Lynn Ritchie! Diana Ferguson Jewelry & Giveaway & Fun Fashion Friday Link Up! 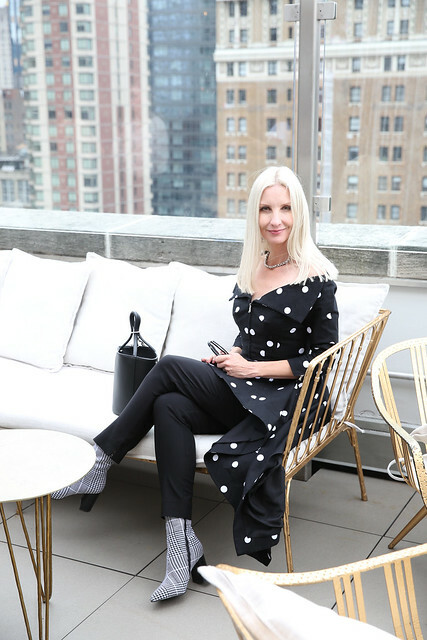 A Detacher at NYFW & Fun Fashion Friday Link Up! Karina's Megan & My Refined Style Link Up! Dressing for a Day Trip & Link Up! Secret Celebrity Wedges & Fun Fashion Friday Link Up! Poncho Fever & Fun Fashion Friday Link Up! All Black & Fun Fashion Friday Link Up! Marmi Shoes & My Refined Style Link Up! Karina Dresses for Fall & Soft Comfort Booties & Link Up! Lynn Ritchie for Fall & Giveaway & Link Up! The Project Runway Show at NYFW! Marissa Webb NYFW Show & Meeting Brad Goreski! Cropped-ish Stripes & Fun Fashion Friday Link Up Party! Jord Watch for Fall & Giveaway & Fun Fashion Friday Link Up! My Refined Style - One Year Anniversary Celebration! Bandana Trend & Fun Fashion Friday Link Up Party! Blogger Event & Fun Fashion Friday Link Up Party! Distressed Rocker Tee & Fun Fashion Friday Link Up Party! "Don't Waste Your Days" & Fun Fashion Friday Link Up Party! Sleeveless Swing Top & My Refined Style Link Up! "Just Chillen" & Fun Fashion Friday! Fall Trends Under $50 at Nordstrom Anniversary Sale! Stock Up on Gifts at Nordstrom Anniversary Sale! Foxcroft & Jewelry To Your Doorstep & Fun Fashion Friday Link Up! Camtrade - Style plus Comfort & Fun Fashion Friday Link Up! Date Night with Karina Dresses & My Refined Style Link Up! Empower & Fun Fashion Friday Link Up! What are you wearing on the 4th of July? My 50th Birthday & Fun Fashion Friday Link Up Party! Festive Summer Look with Soft Surroundings & Fun Fashion Friday Link Up! Karina's Nora & Giveaway & Fun Fashion Friday Link Up! Tunic Dress & My Refined Style Link Up! Goodbye to my Fab 40's! Traveling with Coldwater Creek & Fun Fashion Friday Link Up Party! Rocky 4EURSOLE Review & Fun Fashion Friday! Karina Mia & Fun Fashion Friday Link Up! White Denim Jacket & Fun Fashion Friday Link Up Party! Pearls & My Refined Style Link Up! Stop & Stare & Fun Fashion Friday Link Up! The Fab 40's in Pleats! Brooklyn Hat Company & Fun Fashion Friday Link Up Party! Orange & Fun Fashion Friday Link Up Party! Spring Print Tunic Dress & My Refined Style (Over 40) Link Up! Uncommon Goods & Fun Fashion Friday Link Up! The Fab 40's in Floral! Bomber Jackets & Fun Fashion Friday Link Up! Soft Surroundings & Fun Fashion Friday Link Up! Coldwater Creek & Fun Fashion Friday Link Up! Designer Consignment Online & Fun Fashion Friday Link Up Party! Karina Dresses - Margaret in Sunburst & My Refined Style Link Up! The Fab 40's in Red & Pink & Rhea Footwear Winners! Gypsy & Fun Fashion Friday Link Up! Rhea Non-Slip Sandals: Review & Giveaway! Giddy Up, Cowgirl, & Fun Fashion Friday Link Up! 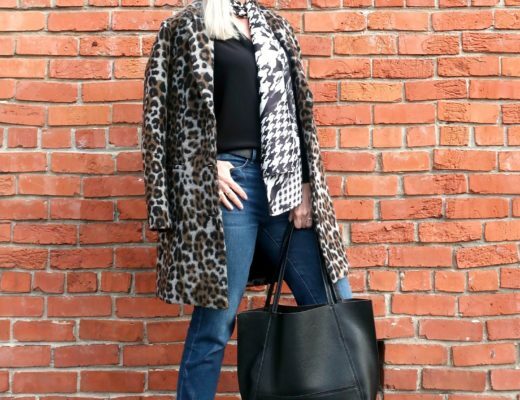 Leopard Pumps & Joe's Jeans & Styleblazer & Giveaway Winner & FFF Link Up! LNBF Winner & Fun Fashion Friday Link Up Party! Tights with Sandals & My Refined Style Link Up! LNBF Review & Giveaway & Fun Fashion Friday Link Up! The Fab 40's in Embroidery! Patterned Moto & Fun Fashion Friday Link Up! Aztec & Fun Fashion Friday Link Up! The Pack is Back & Fun Fashion Friday Link Up Party! New Year's Basics & My Refined Style Link Up! 2015 Favorites & Fun Fashion Friday Link Up! Brandzaffair - Online Shopping for Busy Women! The Fab 40's in Faux Fur! Merry Christmas & Fun Fashion Friday Link Up Party! Holiday Survival Kit with Hanes! Faux Fur Vest & Fun Fashion Friday Link Up! All that Glitters …. Holiday Accessories! Brooch & Fun Fashion Friday Link Up! Oversized Fedora & Fun Fashion Friday Link Up! The Fab 40's in Holiday Looks! Black Friday Deals & Steals! Happy Thanksgiving & Fun Fashion Friday Link Up! Plaid Maxi & Fun Fashion Friday Link Up! Plum & Ditto & Rocksbox & Fun Fashion Friday Link Up! Thred Up & Fun Fashion Friday Link Up Party! Salt: Earthy meets Elegant & MRS Link Up! The Fab 40s in Goth! Salt & Fun Fashion Friday Link Up! Sock Game & Fun Fashion Friday Link Up Party! Autumn Garden Party - Floral Dresses for Fall! Denim Jackets & Fun Fashion Friday Link Up! Ponchos & Fun Fashion Friday Link Up! Prada for (almost) Nada & Fun Fashion Friday Link Up! Fall Florals & My Refined Style Link Up! The Fab 40s in Fringe! Yosa & Fun Fashion Friday Link Up! Tweed Jacket & Fun Fashion Friday Link Up! eShakti Mixed Media Dress & Fun Fashion Friday Link Up! Labor Day Weekend - Fun & Sales! The Subscription Trend & Fun Fashion Friday Link Up! Jeulia Kiss Ring Review & Fun Fashion Friday Link Up! Pre-fall Preppy & Fun Fashion Friday Link Up! Flares & Fun Fashion Friday Link Up! Quick Hello on the First Day of School! August Rocksbox & Fun Fashion Friday Link Up! Happiness Boutique & Fun Fashion Friday Link Up! The Fab 40's in Leopard! 60's Mod Flower Power & Fun Fashion Friday Link Up! Summer Uniform & Fun Fashion Friday Link Up! Keeping It Simple & Co-hosting Turning Heads Tuesday! Ironically Tacky & Fun Fashion Friday Link Up Party! Red, White, & Chambray & Fun Fashion Friday Link Up! Karina Dresses & Fun Fashion Friday Link Up! Summer Shoe Trends Part 2 - Comfortable! Summer Shoe Trends Part 1 - Glam! Grieving ... no link up this week. Rocksbox Review - 1st Month! True Shoe Love & Fun Fashion Friday Link up! AMIClubwear - Denim Dress & Giveaway Winner! Mod Chic & Fun Fashion Friday Link Up! AMI Clubwear $50 Gift Card Giveaway! The Fab 40s in Gingham! Eshakti Custom Pants + Fun Fashion Friday Link Up! Giveaway & Day to Night: Boyfriend Jeans & Flats with Studs to Black Sequins Dresses! Black & White, Pop of Red, & Fun Fashion Friday Link Up! Trendy Spring/Summer Tops from Shopbop! Pack A Hat & Fun Fashion Friday! Lilly Pulitzer for Target Review! White Jeans & Fun Fashion Friday Link Up Party! Hamsa & Fun Fashion Friday Link Up! Rain-Bow Sweater & Fun Fashion Friday! Floral Bags & Fun Fashion Friday Link Up Party! The Fab 40's in Marsala and Denim! Spring Patterns & Fun Fashion Friday Link Up! Born to be Wild & Fun Fashion Friday Link Up Reminder! Spring Break Zappos $50 Giveaway! Good & Plenty & Fun Fashion Friday Link Up! 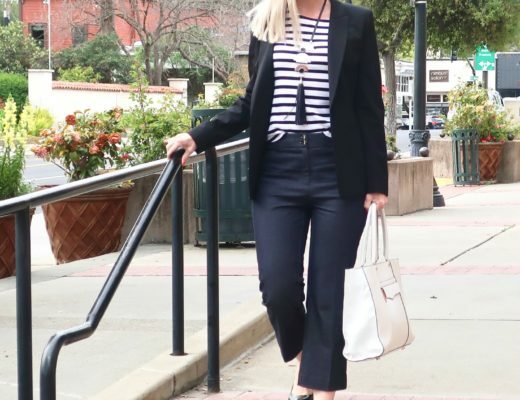 Spring trend: Graphic Black & White & FFF Link Up Reminder! Getting Lucky & Fun Fashion Friday Link Up! Wild Boots & Reminders: HIWM & FFF! Pre-Mixed Patterns & Fun Fashion Friday Link Up! Middle-aged Goldilocks & Fun Fashion Friday Link Up! Alice Cooper's Eyes & FUN FASHION FRIDAY link up! Hearts, Stripes, Plaid & FFF Link Up Party! Beaded sweater & FUN FASHION FRIDAY LINK UP! FUN FASHION FRIDAY- NEW LINK UP PARTY! Fringe Movement - Round Up! My Fav Plaid Looks from my Fav Bloggers! Leopard & Plaid & Readers! One Floral Dress, Two Looks! Come Coat Shopping with Me! Affiliate link commissions help support this free blog. Products that are gifts are marked with c/o. See "Disclosures" page for more information.